Special Education is a difficult and rewarding field. We have many outstanding professionals throughout the state -- special education administrators, special education teachers and specialists and classroom teachers -- who deserve the recognition and support for their efforts. Nominations are now open for the these 3 awards! Click 2019 MCASE AWARDS NOMINATION to access the form. The Award Recipients are announced and presented each year by MCASE at the CEC Conference and also honored at the Evening of Excellence each year in June. 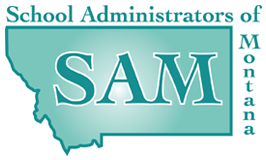 MCASE gave three awards at the 2018 Montana Council for Exceptional Children Conference held in Missoula. The three awards are Distinguished Service Awards for a General Educator, a Special Education Teacher and a Special Education Director.